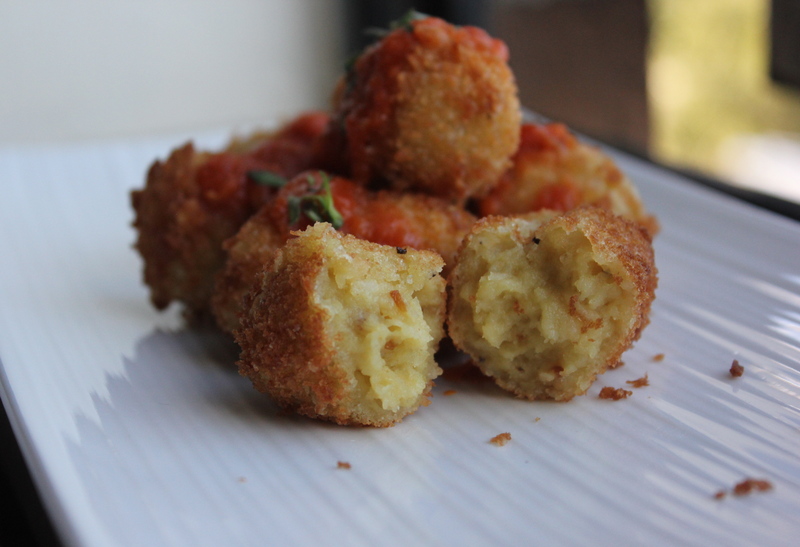 The very first time I tried croquettes was many moons ago during a Spanish study abroad program back in my college days. Gloria, my “Señora” at the time (a name we gave to our homestay mothers), was the most adorable little Spanish lady who would serve up the most delightful little meals. I credit her for introducing me to the appetizing world of Spanish cuisine. From gazpacho and salmorejo to patatas bravas and tortilla Espanola, this woman had me turning down lunch dates for fear of missing out on what awaited me at home. Sigh. When I look back at that summer, there was one meal that emerged above the others as her signature dish. That, of course, was her croquetas de jamón. With a creamy gooey center of béchamel and Spanish ham encased within a crunchy breaded exterior, this treat was on another level. 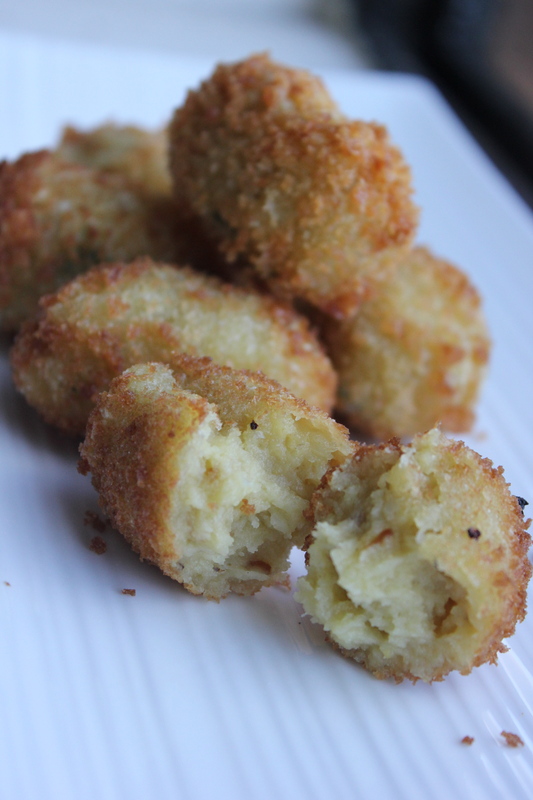 Because I love plantain oh so very much and am always looking for new ways to fall even deeper in love with it, I decided to try and transform a plantain into glorious little croquettes. I was far more excited than necessary to see how these would turn out, and am rather pleased with the outcome. Take a look! Lightly coat plantain with just enough oil to cover, then wrap in foil. Place in oven for 30 minutes until tender/easily pierced. 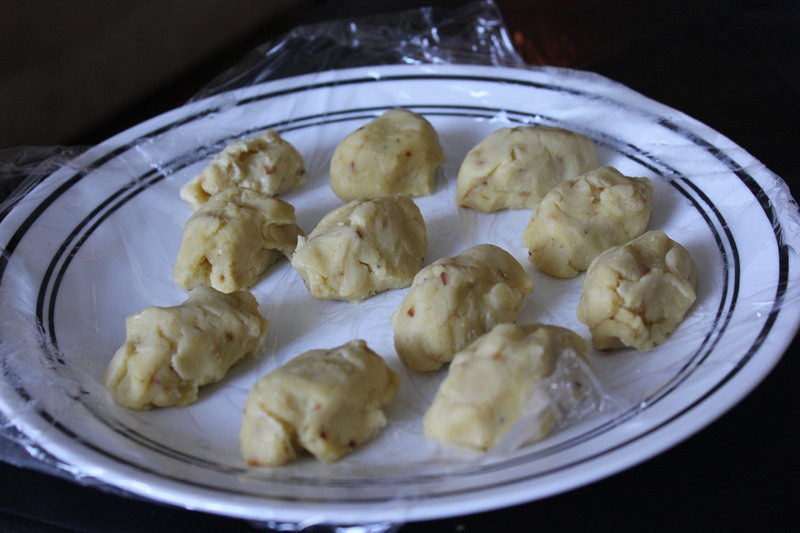 Remove plantain from oven, break into chunks and place in blender. 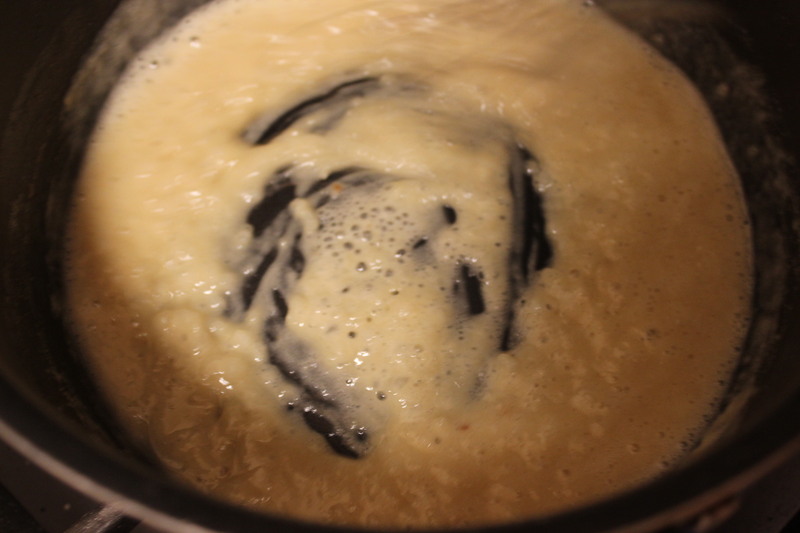 Add small amount of milk (approx ¼ cup) and begin to puree. 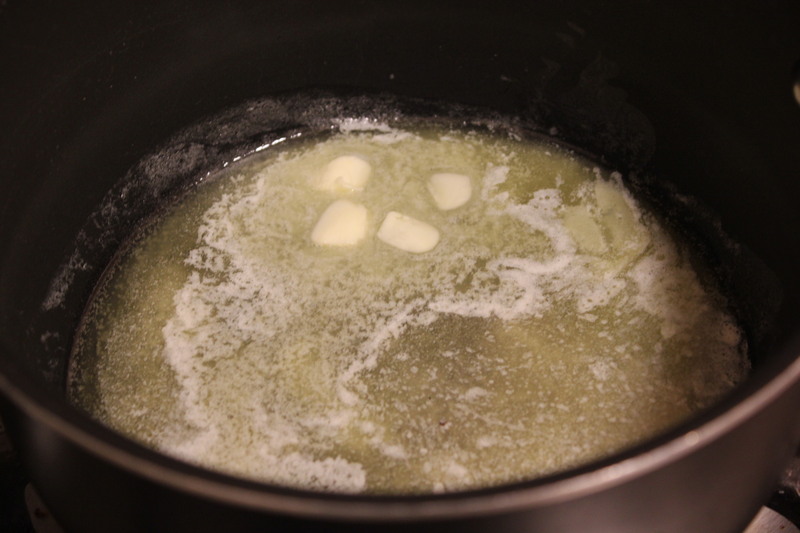 Add more milk as needed until puree reaches a rich smooth and slightly runny consistency. 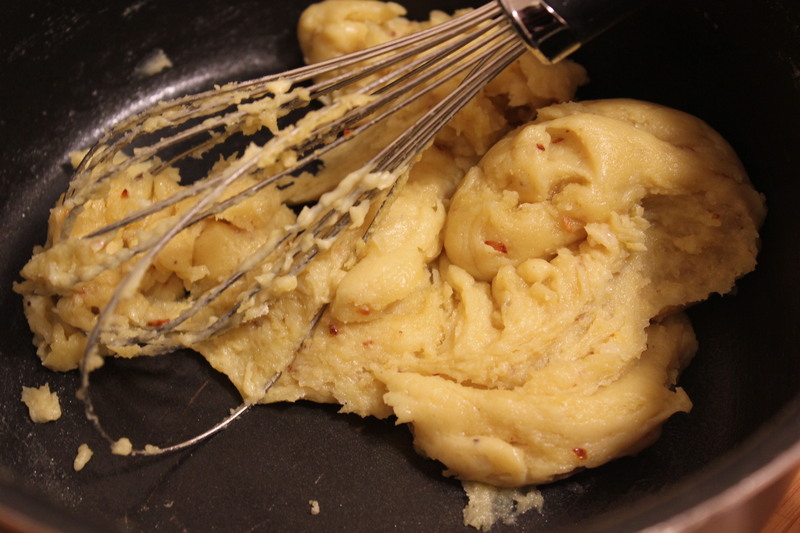 Using a whisk, stir quickly whilst gradually adding flour to butter and onion mix to create a roux. 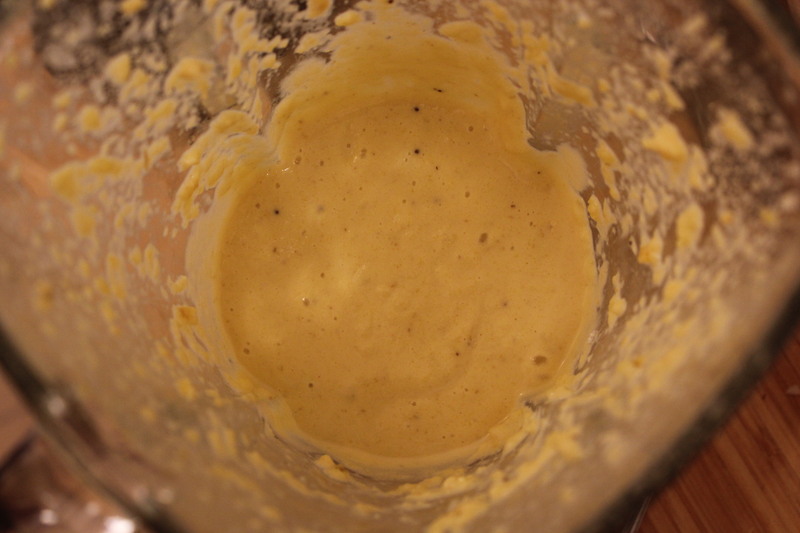 After about a minute of stirring, gradually whisk in plantain puree. 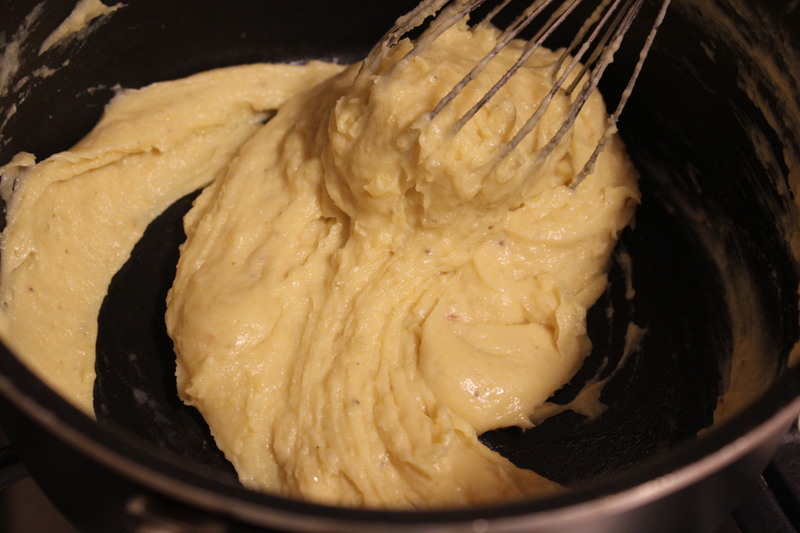 Continue to stir until mixture is thick enough to mould without being sticky. You may need to add more flour and perhaps more melted butter, but be careful not to add too much or you may lose the plantain flavor. Add meat or chicken (if using) and season with salt and pepper to your liking. 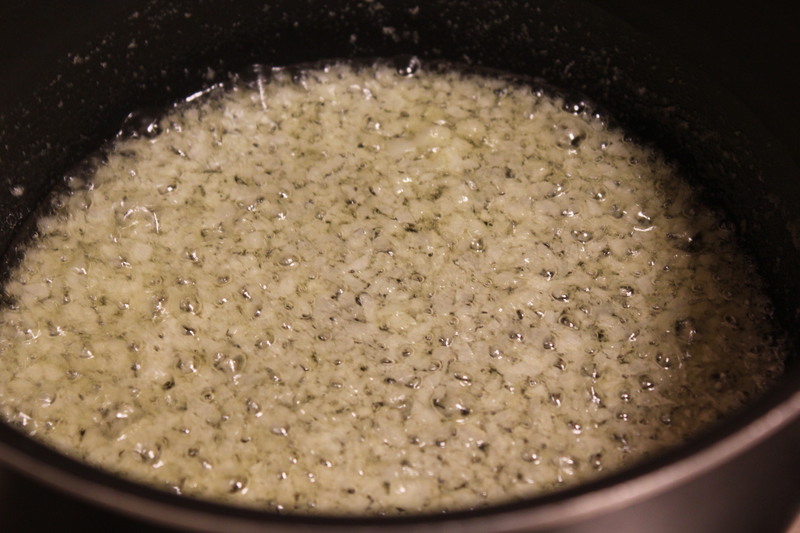 Remove pan from heat and begin to mould croquettes into about 1 ½ to 2 inch long cylinders. 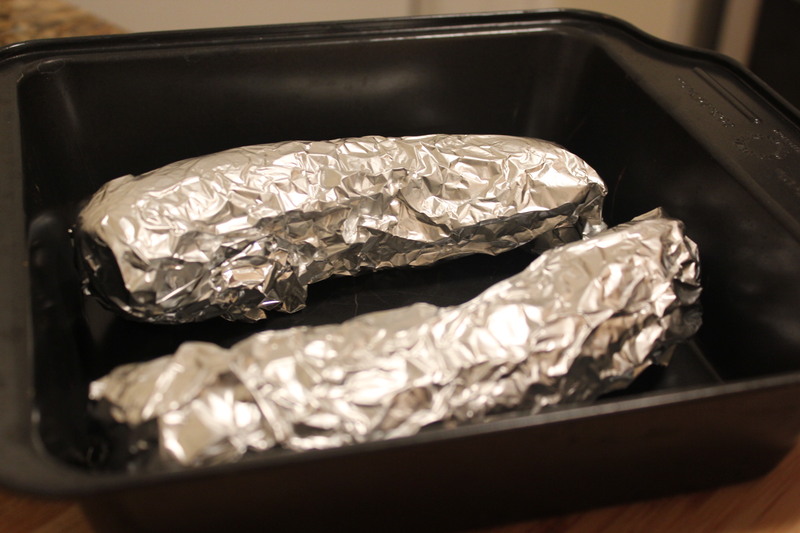 Place on a tray or plate and completely cover with cling wrap before refrigerating to help them set. Leave in fridge for 30 minutes to an hour. Begin to heat about two inches of oil over medium heat. Pour flour, egg and breadcrumbs in three separate trays. 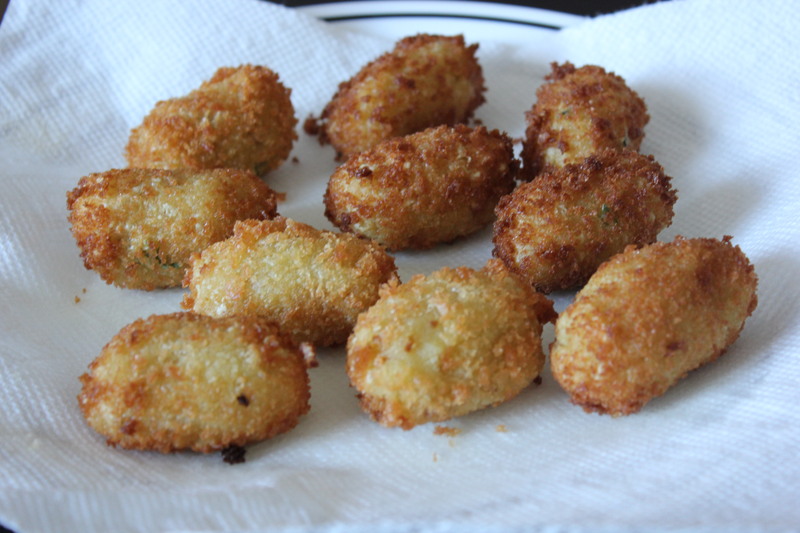 Remove croquettes from fridge. Test one croquette by dredging in flour, egg and breadcrumbs before frying. If it browns too quickly, lower heat. If it browns too slowly, increase heat. 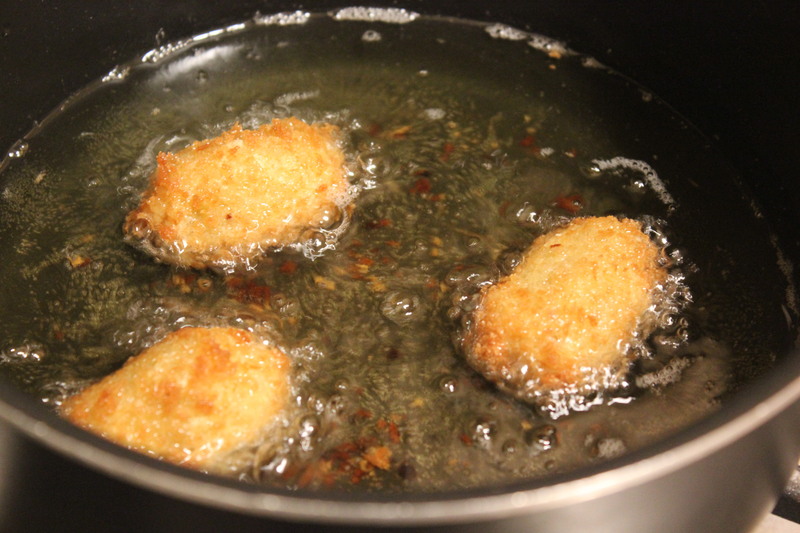 Once satisfied, fry all croquettes until golden brown, then remove from oil and onto paper towels to drain excess oil. 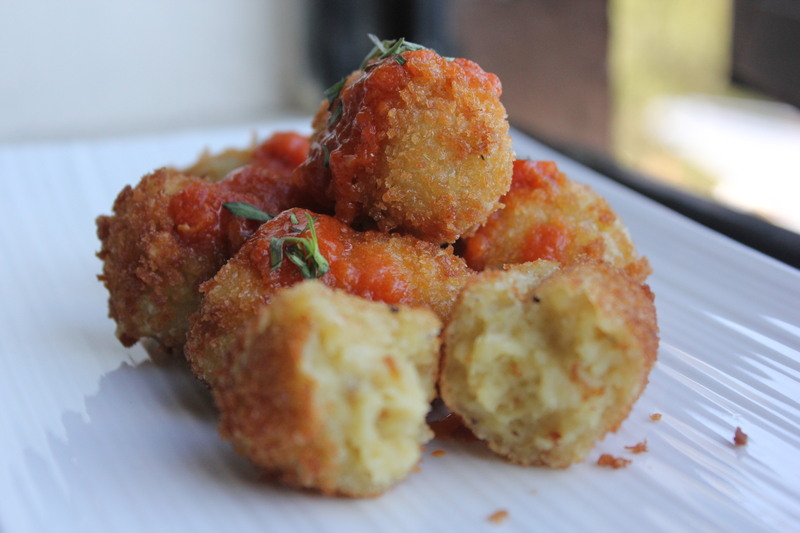 Serve croquettes with your choice of dipping sauce (I used spicy Nigerian stew).